Tessa founded Symbol in 1998 and has led the delivery, development and diversification of the organisation with a keen eye on addressing the many unmet needs of people with learning disabilities living in the UK. She initially qualified as a Speech and Language Therapist and has over thirty years of experience of working with people with learning disabilities. Since 1983 in addition to practicing as a Speech and Language Therapist, Tessa has managed community, residential and day services for people with Learning disabilities. Tessa is a Fellow of The Royal College of Speech and Language Therapists and holds a Post Graduate Diplomas in the Psychology of Mental Handicap and Family Assessment and in Management Studies. Tessa has published two books relating to her fields of practice. Tessa is driven by finding solutions to the many challenges that people with learning disabilities face and this spirit of innovation is born out in the never ending development of creative responses and services that Symbol is becoming known for. Tessa cares deeply and leads from the front acting as a role model and inspiration for those who work for Symbol. Tessa has also spoken on the international stage sharing her expertise and frequently undertakes specialist consultancy tasks on behalf of Symbol. Julie heads up Symbol’s speech and language therapy services. In addition to her extensive leadership experience she is a highly experienced Speech and Language Therapist. Julie qualified at University College London and spent her first 10 years working for the NHS where she developed an early interest in specific language impairment and began to gain management experience. While still in the NHS Julie met and collaborated with Tessa Duffy, who was tasked with writing the first set of national standards for the profession under the name of ‘Communicating Quality’, and then in time with developing the Royal College of Speech and Language Therapy Accreditation Scheme. 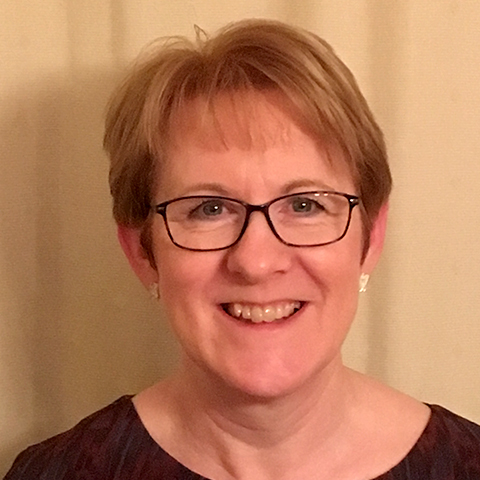 Julie joined Symbol (initially as part of Kelsey Care) in 1997 to work alongside Tessa in developing a new and innovative approach to providing speech and language therapy services to people with learning disabilities in the UK. Julie is passionate about ensuring that her service delivers leading edge practice. She believes that this is done through fostering a strong culture of on going personal development and learning within her team including an emphasis on mentoring and support. To ensure that her services always reflect the reality on the ground for the organisations that commission and host the therapists, Julie has also worked on a voluntary basis as a school governor for over 10 years. As well as taking operational responsibility for 28 staff providing the day to day therapy services across in excess of 40 contracts, Julie delivers consultancy services on behalf of Symbol in the areas of organisational service reviews and quality management. Bharat has worked with Symbol since 2006. Prior to joining Symbol he worked in accounting and other roles in a variety of sectors including advertising and manufacturing, before taking on this finance role within the Social Care sector. As well as overseeing the financial management of Symbol, Bharat manages the HR and IT functions and is a core member of the back office team. Bharat loves applying his expertise to what he recognises as a very worth while cause and is inspired by seeing the impact of Symbol's work in the lives of so many children and adults with learning disabilities. Julia is qualified as a registered social worker and has an honours degree in health. She has had extensive experience working in both Commissioning and Provider roles. Her last post prior to joining Symbol was as a Local Authority Care Manager for adults with learning disabilities and so she brings valuable insight to Symbol as it grows its service offers. At an earlier stage of her career, she worked in a provider role leading the development of their Supported Living services. Julie joined Symbol 3 years ago to support the development of its Supported Living offer and to take the lead in Safeguarding matters. Julia is deeply interested in people and promotes genuinely person centred practice. She is solution focused, very experienced and can deal calmly with any eventuality. Liam is the newest member of the Symbol leadership team and comes to the organisation with extensive experience and expertise of providing a range of support services to people with learning disabilities and autism, including people with very complex needs. He has significant experience of delivering support in the 'front line' as well as leading and managing large portfolios of services and has worked in the Statutory, Voluntary and Private sectors. Liam has a BA (Hons) in Social Sciences from Leicester University and an MEd in the special education of adults with autism from Birmingham University. He has published several articles including in the 'Good Autism Practice Journal', qualified as a instructor for PROACT-SCIPr-UK and for some time has acted as a trainer on related topics extensively throughout the UK. He is currently leading the development of Symbol's growing range of supported living, short breaks and community outreach options and ensuring that the emerging policies and practice develop in line both with recognised best practice and Symbol's passion for making all things possible for those it supports. Liam loves what he does, leads with a quiet confidence, shares all he knows readily and inspires those around him to give of their best. Chloe Deeble-Rogers is currently the lead Director for Newington Manor Residential Centre. She holds a BA (Hons) degree in Psychology from Bristol University as well as a Post Graduate Diploma in Child Studies from Kings College. 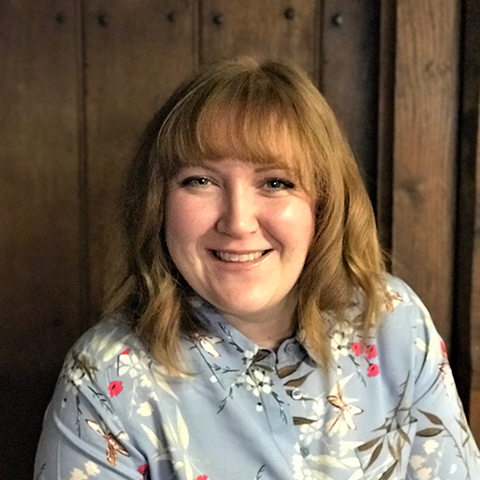 Chloe has significant experience of working with adults and children with learning disabilities and has worked in a variety of roles and services within Symbol. Chloe brings a high degree of pragmatism to Symbol. She is highly organised, has strong analytical skills and naturally ensures, encourages and embeds on going learning across the organisation. Chloe also has a very clear sense of what excellence should look like and leads with an authority that ensures others share this perspective and strive for it. Florentina Dalton is currently the lead Director for developing the enterprise and employment arm of Symbol. She graduated from Winchester School of Art with a BA in Fine Art. She has significant experience of working with people with learning disabilities and played a key role in the development of Symbol's Day Opportunities (Hop Yard Services). She also has recognised expertise in developing and managing specialist support packages around people with complex behavioural needs. With the opening of Hop, Stitch & Jumper Florentina has been able to create work experience, work qualifications and actual paid employment opportunities for people with learning disabilities in the Maidstone area as well as a genuine business enterprise. Florentina is highly creative and very intuitive. She supports the organisation to be deeply person centred in all its approaches and is also passionate in ensuring that all who receive support get the very best.